We are really happy to collaborate Eternal Dream Studio to release the pocong jump stickers for whatsapp as android app. 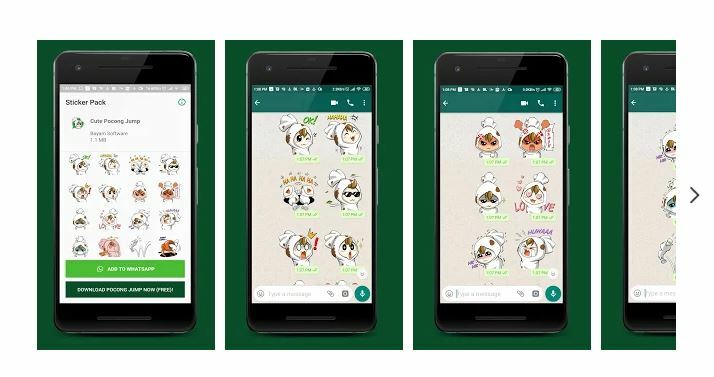 This WhatsApp sticker application consists of 16 funny stickers that can be used to express your feelings to the person your are talking to, in a different way and certainly more exciting. These WhatsApp stickers can show various kind of expressions such as sadness, anger, pleasure, agreement, like, love, and other expressions. Are you interested in using it? For those who are interested, can be downloaded directly from Google Play Store at a price of IDR 5,000 for the territory of Indonesia and US $ 0.99 for overseas as a form of appreciation to us as developer, so we can continue to work by releasing other new stickers. We made this WhatsApp stickers application for android users to support for the Pocong Jump game that was released for free on Google Play Store too. This game is a 2D casual game that has three game modes namely story mode, classic mode & arcade mode. ← Badbee Android Available For Public Now!